Three years ago, I did not even know what a blog was. I have met so many wonderful people: bloggers and readers like you, and I want you to celebrate with me! By having a giveaway! Yay! ... and one of my lucky readers will have even more fun with two (yes, TWO) Silpats! What is a Silpat? It is a baking mat used in place of parchment paper, greasing baking sheets, and many, many other uses. I have had mine for over two years and absolutely love it ~ that's why I want you to have one! Oh, but you need two. You will notice that I bake on the bottom of my baking sheets. This allows the air in my convection oven to circulate better for even browning all around. I store my clean and dried Silpats flat, inside the baking sheets. They cannot be folded. 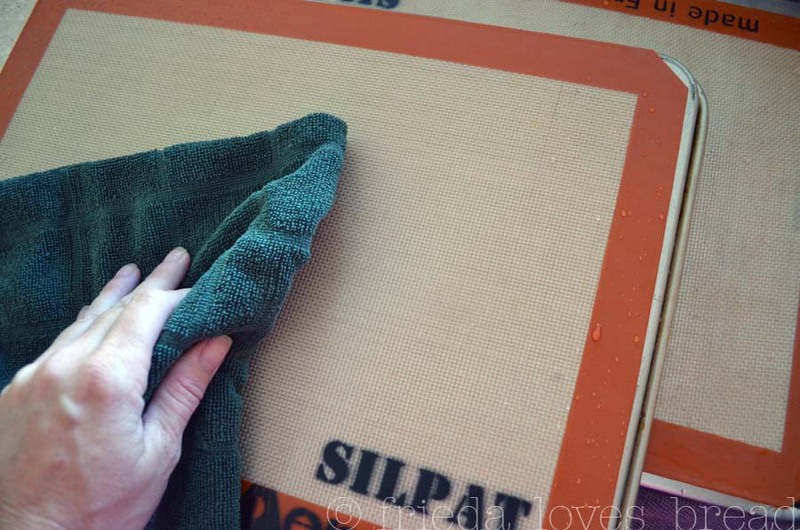 Silpat says that they can be stored rolled up, but one of my readers had a problem with storing it this way. Take care of your Silpat and it can last you many years. Have one? Tell me about it. You can enter and give it away as a gift if you win. Want one? Tell me the first thing you'd bake with it. Want extra entries? Leave a separate comment telling me what you did. 1. Like Frieda Loves Bread on FaceBook and share this link on your FaceBook. 2. Tweet about this giveaway and share the link. Leave me your Twitter handle. 3. Share this giveaway on your blog with a link to this post. Leave me a link to your blog. 4. 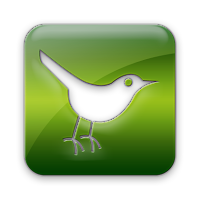 Follow Frieda Loves Bread: all the icons are green and in the upper right corner of my blog. (GFC, RSS feed, email, FaceBook, Twitter, Pinterest, StumbleUpon....whatever floats your boat!) Tell me your favorite way of keeping up with my posts. That's up to FIVE entries, folks! Please leave an email address in your comment if it is not included in your profile. I'd love a way to contact you if you win! Good luck, and Happy Birthday to Frieda Loves Bread! Giveaway is open to all my US readers and will end at midnight, October 16, 2011, MST. One comment will be selected by Random.org, winner's name will be posted on this blog and notified by email. This giveaway is totally sponsored by yours truly. I happen to love this product and would love to see one of my readers enjoying it! Oh I love my silpats. Unfortunately, when I bought them I bought 2 that were too big for my baking sheets. However, I just turn my sheets upside down and it works out fine too! Thanks for a great giveaway! I would bake cookies first thing! I've wanted one of these for a while!! Happy Birthday! I WOULD LOVE one of these and the first thing I would make with it is whole wheat PB cookies! I love my silpat and use it all the time. But I sure would love to have more. Thanks for the great giveaway and congratulations on 3 years! Also like you on face book. And post your giveaway on my blog sidebar. I love these and I've always wanted one! I would immediately make a batch of cookies if I won! 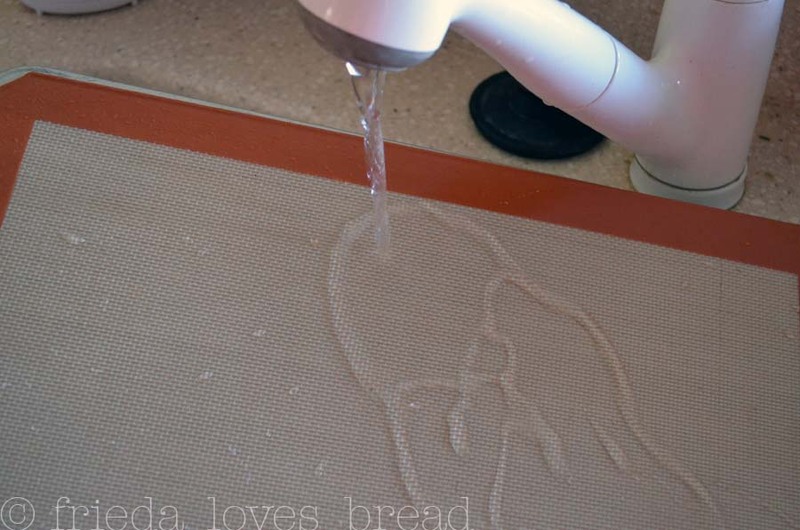 I like Frieda Loves Bread on Facebook! 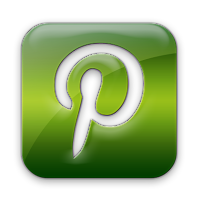 I follow you on Pinterest and Twitter! My favorite way to keep up is through Facebook. I use mine all the time for baking as well as rolling out pie crusts and kneading dough. I only have two and sometimes that is just not enough. I would love one. Always thought about getting one but never have. I'd probably make some yummy fall pumpkin cookies! Happy blog anniversary! I have been coveting one of these mats for a while. I would love to win. I follow your blog via RSS and Twitter. I like using RSS becuase I can easily see what posts I have read and what I still need to get through so I don't miss anything. I have been planning to make some chocolate granola. I would make peanut butter chocolate chip cookies! YUM! I justed liked you on facebook and I also follow you by email (just signed up also)! I would bake chocolate chip cookies first. Exciting and fun! I would def bake macarons! What else is there?! Congratulations! New follower on GFC via Alexa Mania. Love your blog, I'll visit again! I am still baking with the same pans I have had since I got married 35 years ago. 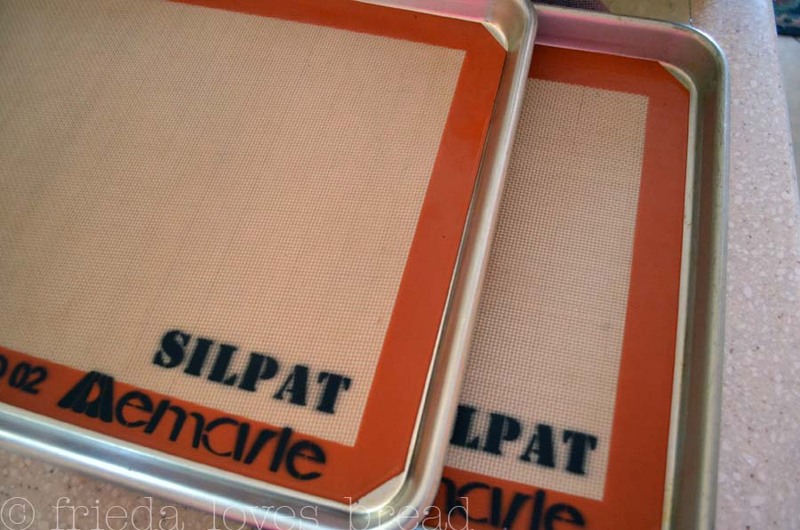 I have always wanted to try the Silpat baking mats. The first thing I would bake if I won is chocolate chip cookies for my husband, He deserves a treat. I would make some classic chocolate chip cookies! I follow your RSS on Google Reader! Hi Frieda, just came here from The Utah Hive and became your newest follower. If I'm going to win, it'll be with this comment... And what will I bake? I just read about your yummy sugar cookies :) Now I'm hungry! I will bake cookies with it! Cupcake, here's a separate entry for your like on FB. Thanks! Cupcake, here's another entry for posting a link on your site. I'd make some florentine cookies. The nonstick silpat should make this much easier! Cookies! Chocolate chip sounds great right now. Mmmmm. I've wanted a silpat (or two) for a while, so thanks for the opportunity. 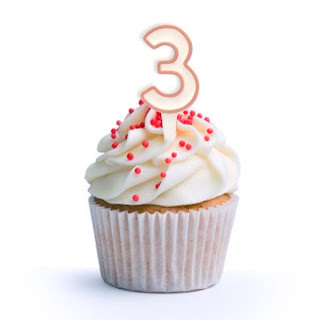 And congrats on turning 3! CONGRATS, Frieda! Love you and all your recipes! I would make coconut cookies!!!! I'd love to bake chocolate chip cookies with these! I liked Frieda Loves Bread on FB! Have wanted these for a long time. First thing: my husband's famous oatmeal and coconut cookies. I'd love to win these silpats! I've wanted one for so long! I am dying for a silpat. I registered for one for my wedding and never got one. When I bake, I always say to myself-I wish I had a silpat! First thing I would bake? COOKIES!!!!!!!! I would be sooo happy if I won, and would bake cookies to celebrate! Chocolate chip cookies of course. Because, seriously, is there any other kind? I would make cookies of course! I would bake runzas - hot rolls filled with ground beef, onion, and cabbage. Happy Birthday!! Did you say toffee? Yum! I would love to make toffee. Also, thanks for the great tip to cook on the bottom of the pans! I follow your blog as well! Thanks! Love Silpats! I have two, but would love more! They make it so easy to bake cookies & they turn out so well! Next I want a Rollpat! Oatmeal cookies with pumpkin to go with the fall weather! I'd start with choc chip cookies! I'd make oatmeal raisin cookies! I have one and love it! A second one would be awesome! I liked you on my fb and posted the link. I'm also a follower on your blog. Thanks for the chance to win one!! I bought one as a gift for a friend 3 years ago and almost didn't give it to her...silly me. The first thing I'd make is your recipe for "Best Ever Dinner Rolls". Mmmm! My grandma has one and loves it! I love your tip about using a baking sheet upside down. I will be buying cookie dough tomorrow to try it out. The first thing I would bake on one of these sheets is my grandmother's famous pinwheel cookies! They are a family favorite and I believe the sheets would help make the perfect cookie! 3 years! Woohoo! Silpat is one kitchen product I do not have yet but I want one desperately and would make macarons. I will admit, Never heard of these until this giveaway was spotted. However, now Im hooked lol, I WANT ONE! LOL! Hubby should be lucky that we don't have any green in the bank, cause otherwise my strip on my debit/cc would be worn out by now hehe. I liked your FB page as Bobbie Michaels and posted it on my wall. I love Baking! !Love the smell in the house and The finished product..But most of all,I love the look on the faces of my loved ones when they take that first bite and You just know you did really well! I would bake some good old fashioned chocolate chip cookies! I have wanted one of these for forever, I would use it for all my cookies! I'm following you on Twitter--KikiW68! You're a favorite on Stumbleupon! Happy birthday, FriedaLovesBread! 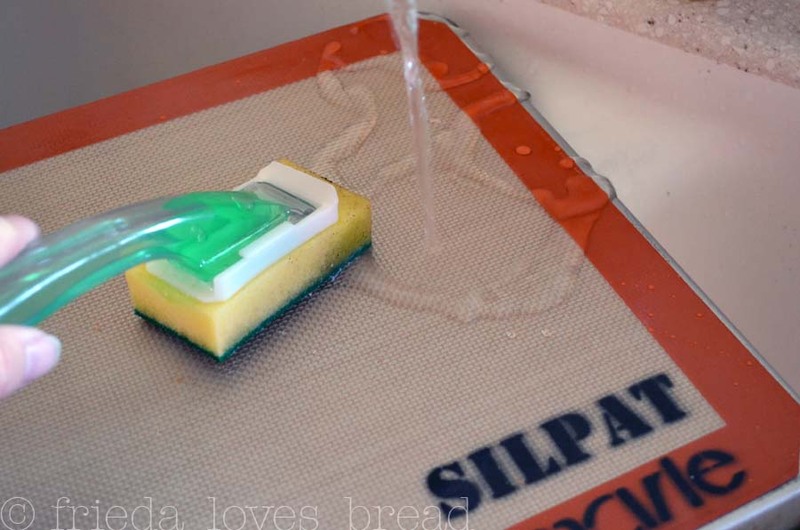 I want a Silpat baking sheet, heck yes! I'd bake pretzels because they are among my most favorite things in life. Great site, love those baking sheets. Choose me! I'm a follower! I like you on FB too :) ! I would bake cookies using the Silpat! I love my Silpats! I've had the pleasure of owning about 4 of them in the last 5 years. They last so long and I don't have to buy foil or sprays anymore. First thing I would bake is biscuits! And I love your tip about cooking on the BOTTOM of the pan... maybe that will help me get my baked goods evenly brown all over. I would make lace cookies, which are pretty much impossible without these! I've told you before, I LOVE your blog. Congrats on your birthday. I don't have one, I would love one! I'd bake everything on it! As for the Silpats, I'd bake everything on them too!! A freeform Boule, which I would usually put on cornmeal dusted parchment, and then burn my hands peeling the paper off of it! Thanks! The first thin I would bake with this big win? Hs to be a big batch of Chocolate Chip Cookies! Hot, warm. and wonderful! I would love to have these mats! I think the first thing I would bake on them would be my husband's deceased grandmother's Cinnamon Stick cookies. I have an awful time with them sticking! I'd back white chocolate macadamia nut cookies! I have one, but would love to have more!! I would use them to make peanut butter butterscotch cookies & maybe some of those pretzels you've been posting lately! I would bake oatmeal cookies with it. I Like Frieda Loves Bread on FaceBook as farmgirl. I follow Frieda Loves Bread via RSS Feed. I'd love one and the first thing I would bake is chocolate chip cookies! You know I'm already a big time follower of yours...I already follow you and like you on facebook and follow you here on your blog. I check my google reader to see what you've come up with! It would have to be oatmeal chocolate chip cookies! I would bake cookies. If persimmons are available, they will be persimmon cookies. I would bake peanut butter cookies! These look awesome! I followed the sponsor on facebook also! Very excited about this one, my email is in my profile. I'd love these - I'd use it for cookies A LOT! My Grandmother's Chocolate Chip Cookies!! I would bake chocolate chip cookies! Lots of cookies! You have an absolutely wonderful bog here! I get giddy just thinking about winning these :-) I am your newest follower on GFC! I'd love one. I am a huge cookie baker! I've been wanting one of these for a long time and I just saw a post on peanut brittle that calls for using a silpat.